The teaching for this event is powerful! You truly don’t want to miss out on this life-changing experience! Women – Sign up now! Husbands – Treat your wife now! The link to sign up is below! 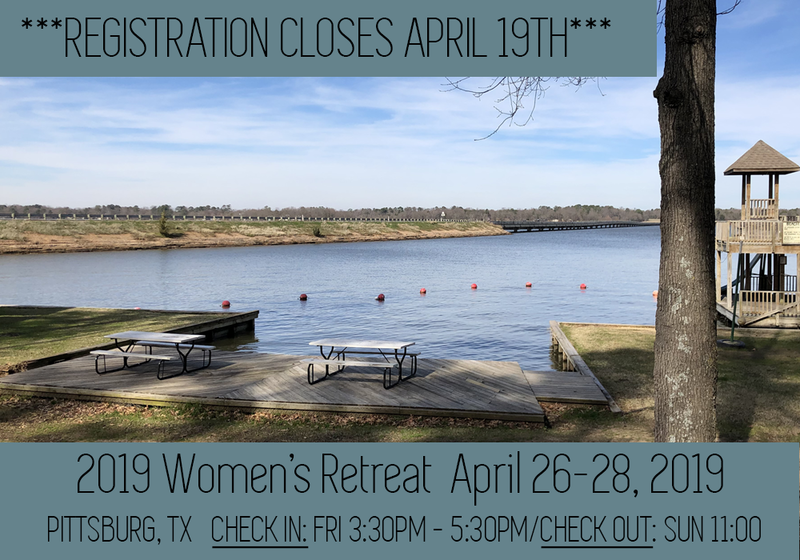 CLICK HERE FOR —> Option 1–Yes, sign me up for the 2019 Women’s Retreat. CLICK HERE FOR —> Option 2–Yes, I want to sponsor a spot for someone to attend the Women’s Retreat. CLICK HERE FOR —> Option 3–Yes, I want it ALL. Sign me up for the 2019 Women’s Retreat, and I want to sponsor a spot. Contact Us if you have any questions or experience any difficulty in registering!